The origin of our modern garden roses was a mystery until the twentieth century. Their genealogy was explored by geneticist Charles Chamberlain Hurst from 1922-1947 here in the Botanic Garden. Hurst attempted to disentangle their complex ancestry by crossing rose species and examining the genetics and the chromosomes of the resulting hybrids. He proposed a scheme of rose evolution from these studies. 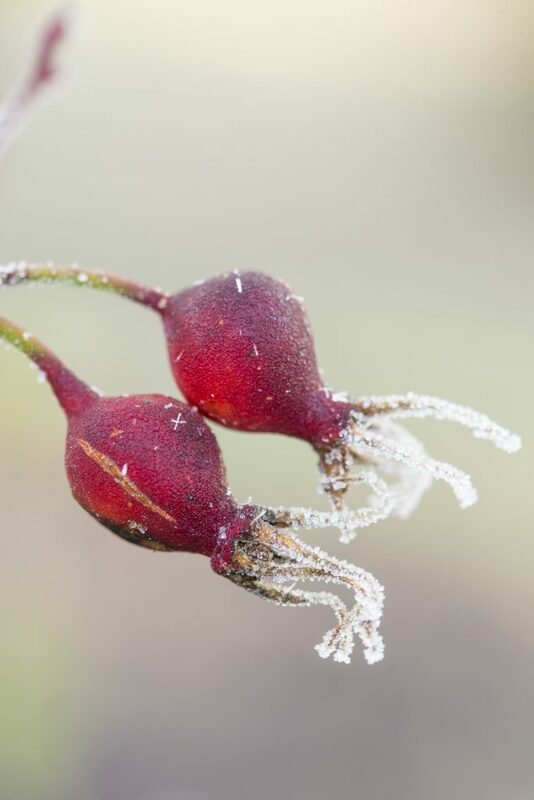 This is demonstrated in the design of the Rose Garden, the work of legendary plantsman and Garden Adviser to the National Trust, Graham Stuart Thomas, who was a horticultural trainee at the Botanic Garden. The Rose Garden straddles the South Walk: on the south side are the rose species and the primary hybrids arising between them. The radiating island beds on the north side show the influence of new species crossed with traditional European varieties, including the China roses, the Damasks, and the Bourbons. The Rose Garden was planted in 1980-81 to celebrate the 150th anniversary of the University acquiring the land for a ‘new’ Botanic Garden in 1831. 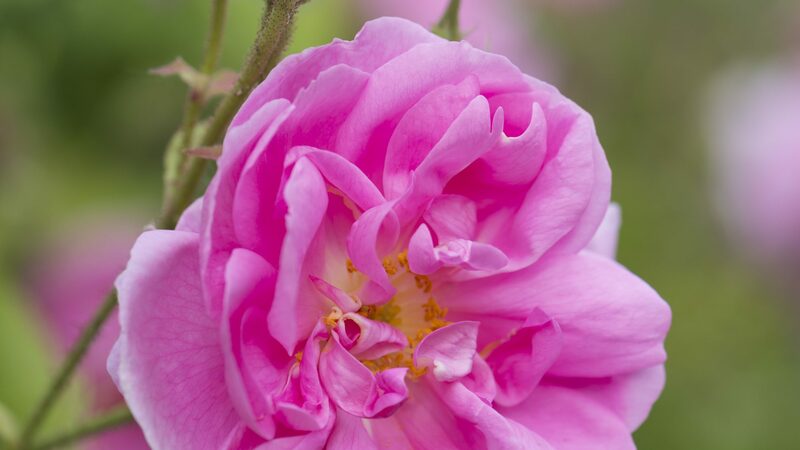 The garden forms of roses do not grow particularly well in the chalky, dry soil of the Botanic Garden, so a really thick mulch is applied each autumn to enrich the soil and conserve moisture. Many species and primary hybrids, however, flourish. 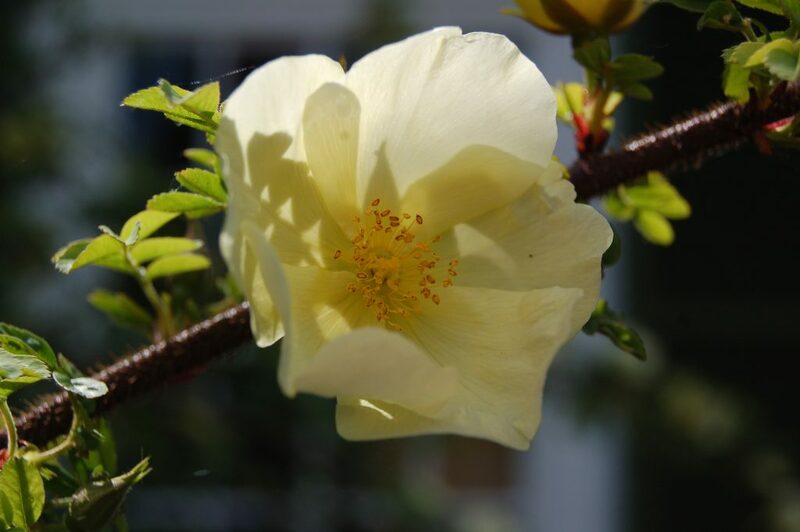 Hurst created many beautiful hybrids during his experimental work and he named two after the Botanic Garden – the single pink Rosa ‘Cantab’ and the beautiful yellow shrub Rosa x cantabrigiensis. Another hybrid commemorates the Botanic Garden benefactor Reginald Cory, and is known as R. x coryana. The diversity of colour and form of the many different roses in the Rose Garden is counterbalanced by a classic underplanting of lavenders and geraniums so throughout the summer, the Rose Garden is a magnet not just for visitors but for a myriad bees and butterflies. At its heart are two back-to-back, yew-enclosed benches that offer scent-infused vantage points over the history of the garden rose.